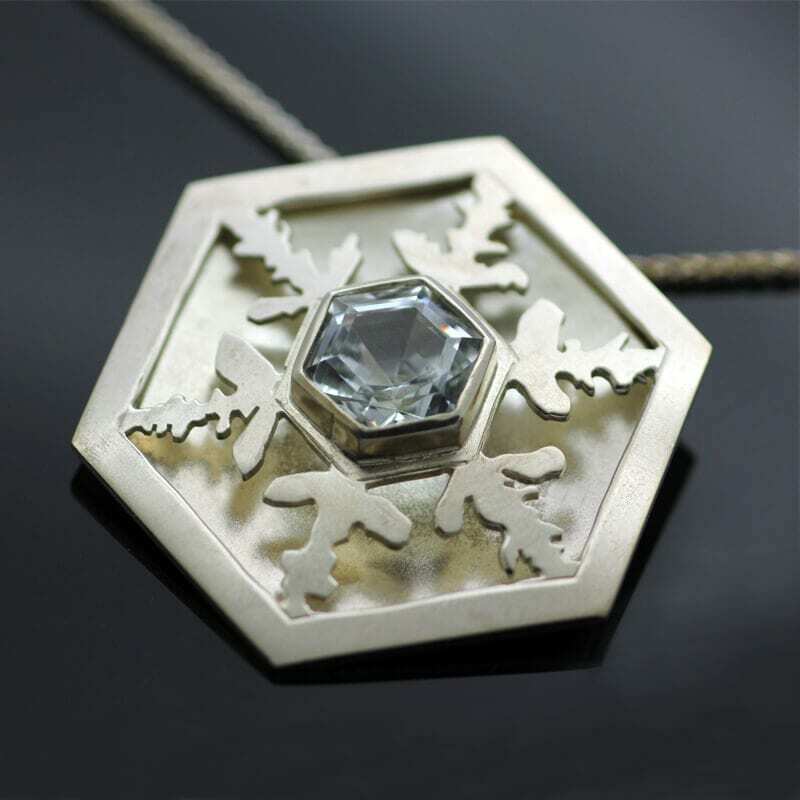 Showcasing this breathtaking ‘Snowflake’ large statement pendant design by Julian, adorned with a beautiful fancy cut Aquamarine gemstone, offering a glorious example of the exceptional design, creativity and technical skill evident in Julian’s original creations. 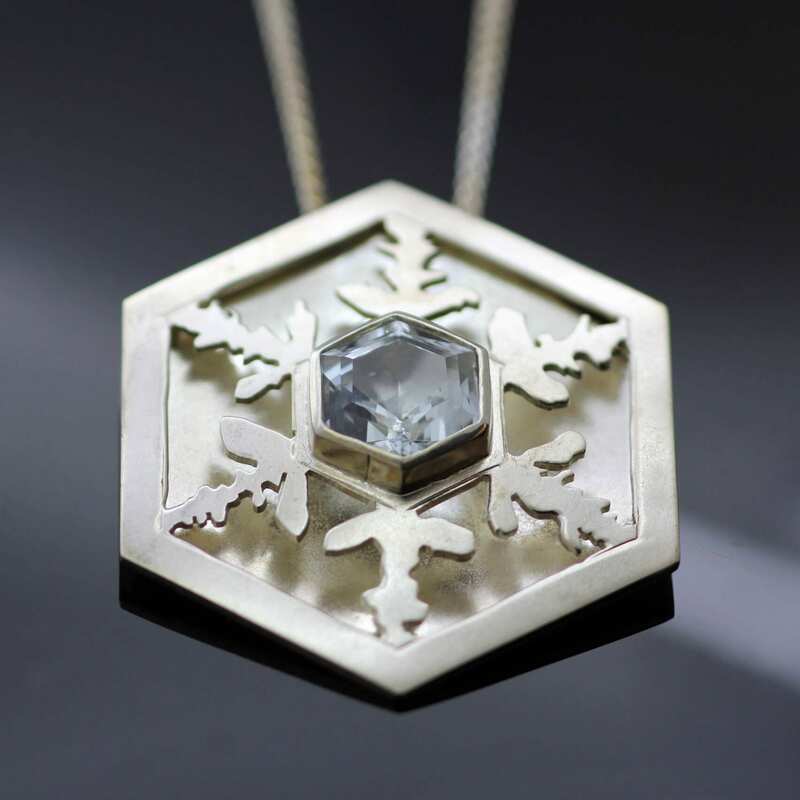 The layered Aquamarine gem and Sterling Silver pendant is created using a hand piercing technique, inspired by the fret work found on Antique Jewellery boxes, to create two layers of solid Silver metal to create the cut away stylised snowflake motif. This clever design plays with light, depth and texture which is further enhanced by the cool icy hues hues of the Aquamarine gemstone, combined with a hand polished finish to enhance the shiny, glossy surface which allows light to play and bounce between the layered Silver. This beautiful pendant is finished strung on solid Sterling Silver Spiga chain, this lovely pendant proudly bears Julian Stephens exclusive maker’s mark and is fully Hallmarked.